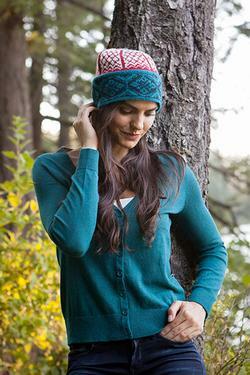 This fresh take on traditional Nordic design brings a splash of color to your winter wardrobe! 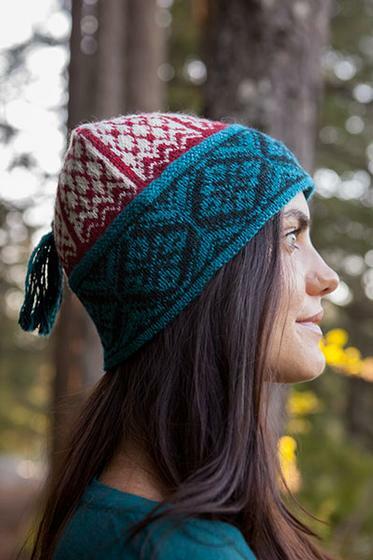 The hat features a lined band with a Nordic star pattern and clever crown design in a contrasting colorway. 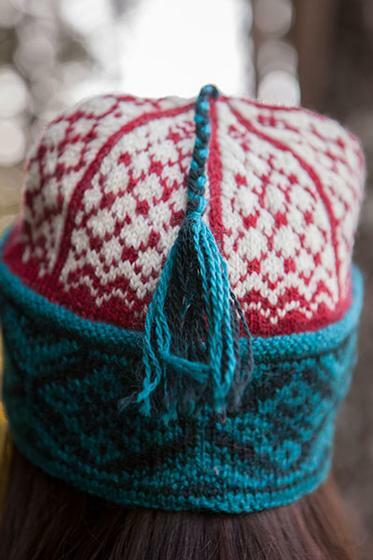 The Vesterland Hat is worked in the round in a single piece, starting with the band lining. 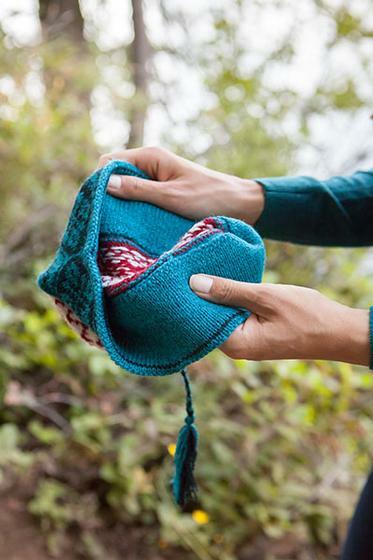 After the stranded two-color brim and crown are finished, the lining is folded under and sewn into place. 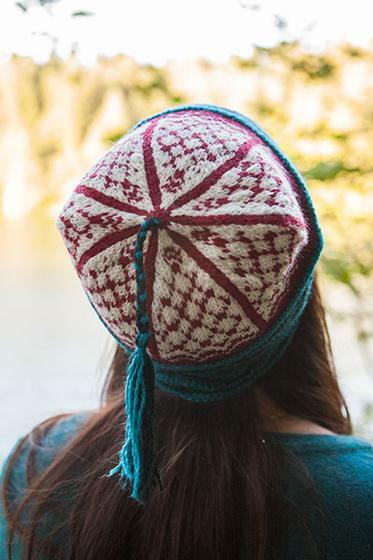 Instructions are included for an optional braided tassel.